I'd like to personally send a big, open-armed welcome to my favorite month of the year, or what this year I am calling, #Birthdember. But more on my big plans for #Birthdember later, I have bigger things to tell you about today. Venus Trapped in Mars hit ONE MILLION PAGE VIEWS! I've always said I believe in celebrating blog victories, so here I am, getting all excited and junk. It happened on Saturday morning when I woke up and checked my stats. I may or may not have screamed out loud right in someone's ear. 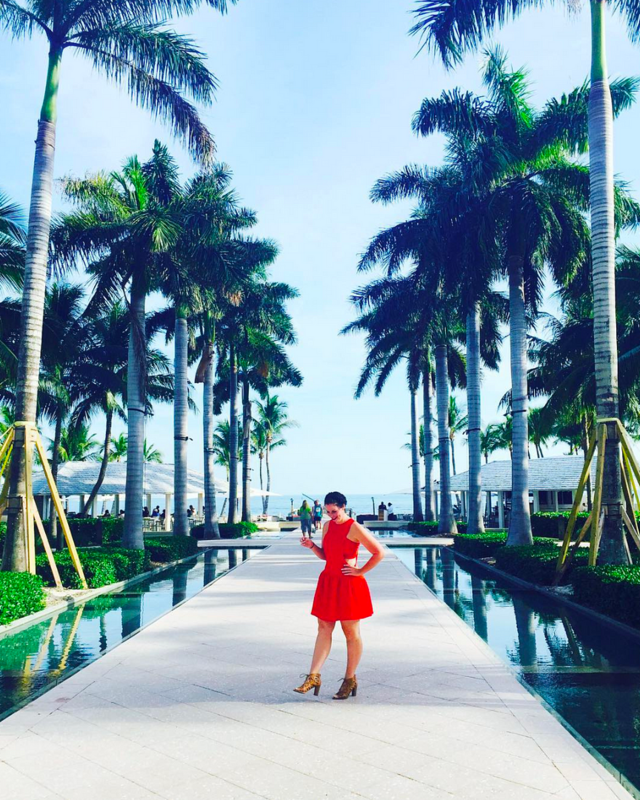 I absolutely love blogging, and I love the opportunities and friendships it has brought me. I have shared the happy things, I have shared the struggles, I have shared the hard times and now it feels like I'm at a point where I'm currently sharing some downright insanely happy times. In this past year and 9 months, thanks to Fan Friday, I stayed true to the original reason I started this blog, which was to write about sports. Even though those posts don't pour in the page views, and maybe even caused me to lose some readers along the way, I stuck with my passion because I wanted to, and I am really proud of that. This blog has transitioned from a clumsy stack of Buzzfeed-esq posts, into a blog with a definitive face. I can't even put into words how much fun I've had on the path to one million, the opportunities that never would have come my way otherwise and the dear friends that have come into my (real)life. All because of a computer and an internet connection. I just freaking love blogging. Now on to the next million! Woo HOOOO! that's a major milestone. Congrats, lady! I AM SO SO SO PROUD OF YOU!!!!!!!!!!!!!!!!!!!!!!! So so so so so exciting!! let's drink to that! Exactly what Helene said....CHEERS. and Thank you for the fun you grace us with. Yay congrats!!!! and I think Fan Friday is great. YAY!! Congrats!! I love Fan Friday, for what it's worth!! Awesome!! Congratulations and many more! Congratulations, lady! You deserve it. I love your blog and it definitely inspires me to keep going with my little blog. I just stumbled across your blog. I love your posts and your love of sports! I can't wait to read more! Congrats Sarah, I love seeing my favourite bloggers succeed and you totally deserve it! Congratulations!! That's so exciting! And you are awesome, which is what keeps us coming back! yay, congrats girl!! so happy for you. i might not know anything about sports but i still love your blog. Congratulations! You're such an inspiration to me as a blogger, and I'm excited to see even bigger things from you while you earn your next million views! That is super crazy exciting!! If people stop reading because you blog about sports they need to CHECK THEMSELVES. No, seriously. 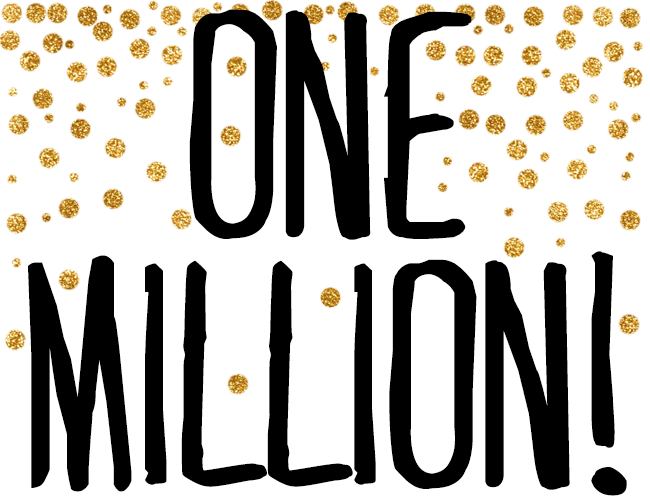 The first million is always the most exciting! <3 Too many more! Congrats! That's a major accomplishment and you should be one proud blogger! :) I hope you have a good drink to celebrate! That's amazing lovebug! Congrats! Now go have a mimosa to celebrate! Ohhhhhh, I love the idea for #2. Can we say win/win all around!! Congrats! ...and I must say, your blog is easily one of my very favorites. CONGRATS! this is SO VERY awesome!! Congrats chicka!! Hard work pays off! !